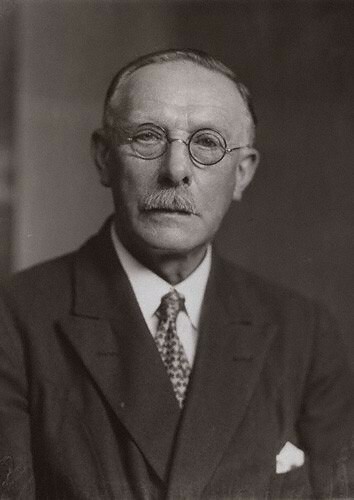 Bio Notes: Archibald Campbell Dickie was born in Dundee in 1868, the son of Charles Dickie. He was educated privately and spent some time studying at the Architectural Association Schools. He was apprenticed to John Carver's Forfar office in 1885 and remained as assistant, the practice being then Carver & Symon, until 1893 when he went to London and joined first the office of Beeston & Burmester and secondly that of Frederick Hall-Jones for experience. He also served as senior assistant in the office of J J Stevenson. During that period he worked either for or with Stanley D Adshead and with John Anderson from Marshall Mackenzie's office on competitions, but without success. Dickie was one of the five original day students at the Architectural Association in Great Marlborough Street and passed the qualifying exam in 1894, being elected ARIBA on 11 March 1895, his proposers being Herbert Duncan Searles-Wood, a prominent member of the Architectural Association, Frederick Richard Farrow and Samuel Flint Clarkson. He retained his interest in archaeology throughout his life being a member of the Palestine Exploration Fund executive committee from 1906 until his death and was its secretary, 1910-12, and being involved with the British School at Athens. Dickie was married to Mary Reich and the couple had one daughter. He retired to a life in the country at Long Crendon, Buckinghamshire and died on 3 September 1941. He was remembered by Fyfe as 'a most loveable character, brimful of a warm-hearted humour' and 'universally popular'.